Depression is a big issue in today’s society, one that we need to be more aware of and to be sensitive about but not afraid to talk about. One of the main difficulties is that once the dark dog takes hold there are vicious cycles that take place that sustains itself. A word to describe a lengthy period of extreme unhappiness that interferes with day-to-fay life. Then goes on to give a more clinical view. Stigma is often worse than the depression itself – public stigma and self stigma where people accept and agree with comments being said about them. Habits of mindfulness – for me the question is how much of it is just being aware of what is going on around us, really looking at where we are or what we are doing rather than being on autopilot? Or is it re-learning how we engage with the environment around us? Raising awareness in sport, helping to improve individual and community involvement in talking and dealing with health issues. Danny Scunthorpe, a former rugby league prop forward shared with us his personal experience of depression. Ben Bango – loving my neighbour with depression. 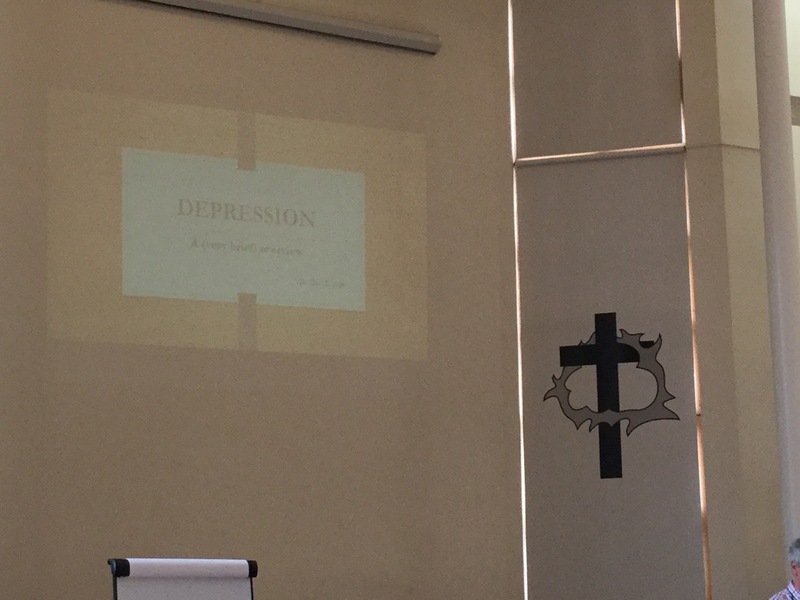 He gives a pastoral perspective on how church’s can include and support people with mental health conditions. Welcome me as I am – this is the starting point they took, is the starting point we all need to take to open up discussions. Just because someone may seem different or have certain difficulties doesn’t mean we do not have some common ground where we can start to understand each other and the struggles our daily lives brings to all of us. Looking for healing in mind and body – through worship, specifically healing services. One of the big questions for church communities are how accepting are we of everyone? Aiming to set up a UK network of volunteer facilitated peer support group meetings for people who live with depression and their families. Want to know more check out http://www.peertalk.org.uk or book to go on one of their awareness days. 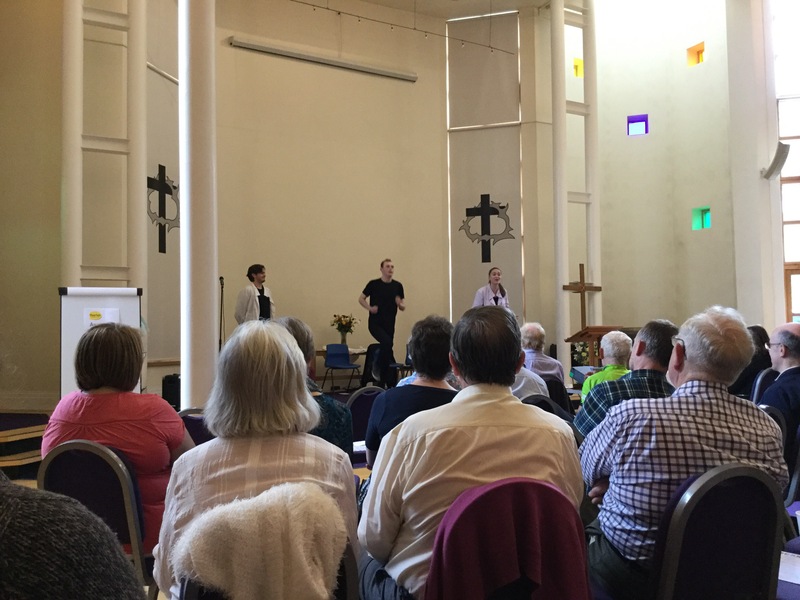 I am currently a Methodist Minister in the Huddersfield Circuit with pasoral charge of Hade edge, Scholes, Parkwood and Bradley churches. Views are my own. 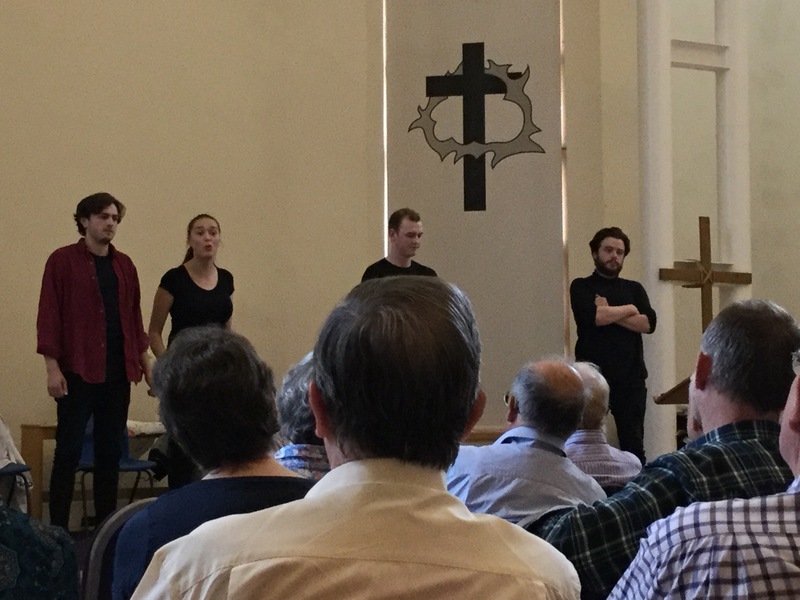 This entry was posted in Blogs and tagged church, depression, help, Huddersfield Methodist Mission, mindfulness, PeerTalk, sport, support, the methodist church. Bookmark the permalink.